This month’s newsletter contains information on IPSI’s involvement in the recent UN Biodiversity Conference held in December 2016 in Cancun, Mexico, and we are also pleased to let readers know that the summary report has now been completed for the Satoyama Initiative Regional Workshop held in Peru last June. We would also like to share news of a newly-updated IPSI booklet a profile of TZR Technologies, one of IPSI’s newest members, and a report of an IPSI case study from the Hualien District Agricultural Research and Extension Station (HDARES), Council of Agriculture in Chinese Taipei. IPSI Secretariat staff members recently traveled to Cancun, Mexico to attend the UN Biodiversity Conference, which included the Thirteenth Meeting of the Conference of the Parties to the Convention on Biological Diversity (CBD COP 13) and a number of other related events. We were very happy to see a large number of IPSI members and other familiar faces among the participants, and encouraged to find that IPSI continues to increase its stature in the world of international policy-making processes. Prof. Kazuhiko Takeuchi of the United Nations University contributed to public awareness of the Satoyama Initiative by taking part in the High-Level Segment and making a statement in the COP 13 opening plenary session, and once again the Satoyama Initiative and IPSI are recognized in the outcome decisions of the COP. The drafted text of the statement can be found on the CBD webpage here. In addition to the negotiations at COP 13, a large number of side events and others were held. The IPSI Secretariat co-organized two side events on the Satoyama Initiative: “Strategic Action for Mainstreaming Biodiversity: Contributions of the International Partnership for the Satoyama Initiative (IPSI) to Biodiversity and Human Well-Being” on 6 December; and “Contributions of funding mechanisms under the Satoyama Initiative to mainstreaming biodiversity for well-being”on 8 December. Both were well-attended and featured many interesting presentations from members of the IPSI family. Staff members also contributed to the 3rd Science for Biodiversity Forum, the Muuchtanbal Summit on Indigenous Experience, the CEPA Fair and other side events including “Improving the evidence base on the effectiveness of forest conservation and rural livelihood initiatives in delivering social and ecological benefits” organized by our friends at Conservation International. The official report for the recent Satoyama Initiative Regional Workshop in Peru, held from in June 2016 in Cusco and Pisac, Peru, has been completed and is now available for download here. The report contains a great deal of information about the workshop, including summaries of speakers’ presentations and outcomes from the lively discussions. More information about the event is available on the event announcement page on the IPSI website here. The IPSI Secretariat is pleased to inform readers that we have recently updated and redesigned the IPSI booklet “The International Partnership for the Satoyama Initiative (IPSI): Working Towards Societies in Harmony with Nature”. This booklet is used to share information about the partnership and its activities to members and non-members alike, and as a resource for potential new partner organizations. We hope you will take the time to download and read the booklet, and share it with anyone you think may be interested. The new booklet is available for download on the IPSI website here. TZR Technology Sdn. Bhd. is a private sector organization whose strategy focus is to lead Malaysia in the development of “green economy” initiatives. TZR is working toward capturing, validating and managing a national “digital earth index” of biodiversity assets in Malaysia. They envision the opportunity to develop sustainable environmental finance plans that will allow the country to be more directly involved in earth preservation while at the same time reaping the economic benefits from the outcome of environmental finance. Their plans start with TZR consolidating biodiversity assets of Setiu Wetland in Terengganu. Setiu Wetland is an ecosystem with 125 kilometers of lazily winding rivers with 79,000 hectares of river bank and estuary, and a natural lagoon with mangrove and nipah trees spawning over an area of 800 hectares. Setiu is also blessed with a turquoise blue sea front where coral and seagrass grow and protect the shoreline. A 5-year plan has been developed to enhance the ecosystem with rehabilitation and replanting in target areas of Setiu Wetland habitats. The objective is to make Setiu Wetland into a regional reference center for prudent habitat and ecosystem management. The conservation program will be strengthened with the implementation of a comprehensive earth observation system that will include commissioning of a low-orbit satellite system. As a new member of IPSI, TZR cordially invites other IPSI members to collaborate and share resources, and together make earth a better place for future generations. The IPSI Secretariat recently received a case study from partner organization the Hualien District Agricultural Research and Extension Station (HDARES), Council of Agriculture, Chinese Taipei, titled “Indicator species for agrobiodiversity in rice paddy fields: Research and its application in eastern rural Taiwan”. 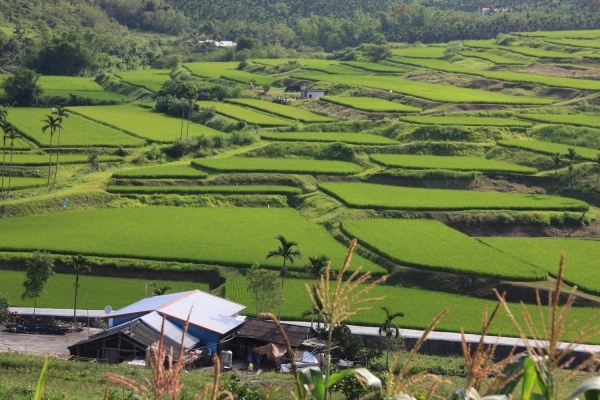 The production of organic rice in eastern rural Taiwan accounts for more than 56% of all certified organic areas of Taiwan, with rice production highly related to the surrounding landscapes. In recent years the Hualien District Agricultural Research and Extension Station (HDARES) has been working on revitalizing these agricultural production landscapes in ways that benefit both agricultural productivity and biodiversity. 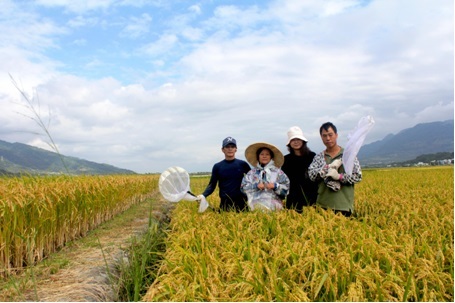 One of the key tasks is to identify indicator species for agrobiodiversity in rice paddy fields as well as its application in eastern rural Taiwan. Based on mid-term research projects conducted from 2012 to 2015, significant findings and applications include: a) two indicator species sensitive to the agrobiodiversity of the organic paddy fields; b) relationship between habitat heterogeneity and agrobiodiversity in the paddy fields; c) cooperation with the Tse-Xin Organic Agriculture Foundation (an IPSI member) to incorporate the above indicator species into the Green Conservation Label as an incentive to encourage farmers’ environmentally-friendly farming and consumer support; d) habitat manipulation and diversification of paddy fields to facilitate ecosystem services and to reduce chemical inputs.